Everyone loves our treasured Native Icons of Australia especially overseas guests and travellers. 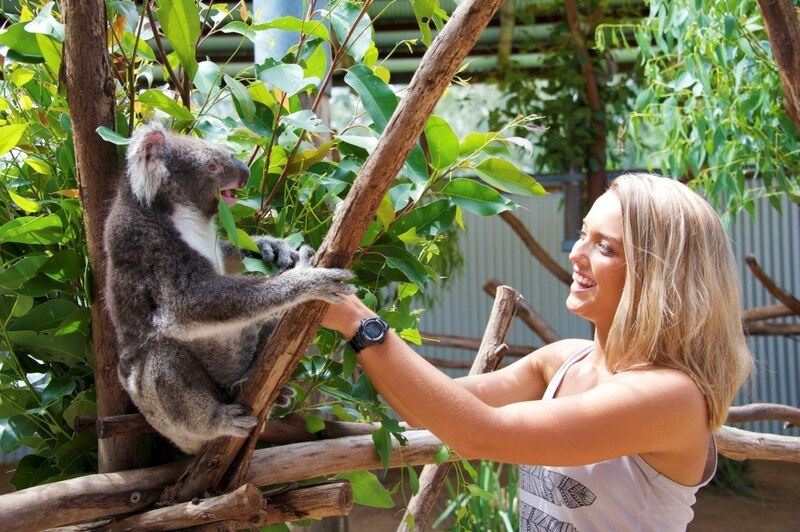 What better than being able to pat a koala or hand feed a kangaroo?? You can do all this and more all at one great location, The Retreat Port Stephens. The Retreat’s native animal experience Port Stephens NSW is a brand new product and offers a truly special and memorable experience of a lifetime. You could have Breakfast with Koalas or an afternoon relaxing hand feeding a beautiful kangaroo in an intimate and private environment. Now available for VIP functions, Corporate events, International groups and school groups are Native animal displays onsite at The Retreat Port Stephens. These brilliant Native animal displays are uniquely Australian and will be one to remember. Thanks to the wonderful team at Oakvale Farm, we can tailor a package to your specific requirements depending on the duration of the visit, number of guests, whether you would like an educational presentation or a more relaxed, purely interactive experience. The native animal experience can range from hand raised koalas, kangaroo joeys, non-venomous snakes, lizards and/or emu chicks. All subject to availability and suitability for your event. Oakvale Farm pride themselves on providing a educational “Hands-On” experience for everyone. We encourage everyone to join in and enjoy the fun by arousing your senses through touch, smell, sight and sound. Two qualified animal keepers will accompany the display and attend to the animals and aesthetics throughout the duration. All perches, pouches, food, and water for all our animals are supplied. The Retreat Port Stephens offers a great range of accommodation options to suit couples, families, groups and schools. Also offering conference and function facilities for business events and special occasions allowing large groups the opportunity to book the whole park for exclusive use giving total privacy. For couples and families The Retreat offers self contained Cabins and Bungalows each with full kitchens, private bathroom, lounge/dining areas and balconies with bush views. For groups we have The Ranch, The Duplexes and The Lodge. There are onsite catering options available as well as onsite activities for team building, theme nights and trivia fun.